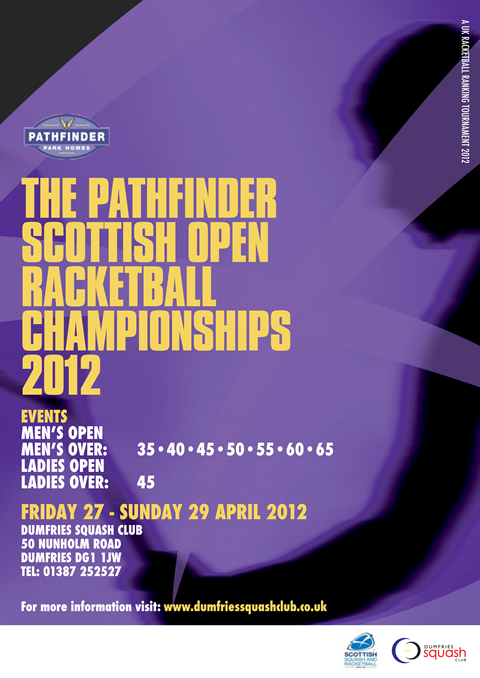 The 1st Scottish Open featured Men's and Women's Open events as well as a full complement of masters age group events. See below for full details and results. The Dumfries Squash Club is a great venue and has successfully run the South of Scotland Scottish Squash Masters tournament for the past 3 years making it one of the best-supported tournaments of the 8 on the Masters calendar. The racketball followed suit and recived a great level of support Check out all the results below!